Wow, can you believe it’s that time of year already? It seems to me like I was just lighting fireworks for last New Year’s, yesterday, and now it’s just around the corner again. Of course with all the holiday celebrations come the holiday goods! First, the pumpkin lattes come back. After having one of those a day for nearly the entire month of October and most of November you think you’d be over sweets. But no, you have the thanksgiving feast which turns into a week of non-stop eating. Finally, Christmas rolls around to greet you with candy canes, egg nog, holiday popcorn and the works. With all the eating, it is no wonder that most people put losing weight on their resolution list for the next year. Not to worry though! Blick Law Firm has the holiday healthy tips to prevent you from gaining the extra 10-100 lbs that most people commonly gain during the holiday season. 1. Spend time with the family and do something active. As a resident of Florida there are so many outdoor activities that are accessible to any family. Go camping or hike around the everglades or Ocala national park and really take time to appreciate the scenery. 2. Go to the beach! Not many states can boast having beach time weather nearly all year long. If you happen to find yourself with nothing to do on those absurdly, unseasonably warm winter days- go to the closest beach and enjoy some fun in the sun. 3. Trade in your holidays sweets for holiday feats! Instead of gifting sweets why not do something to show someone else how much they really mean to you? Not only will they save some pounds but you won’t be in their presence snacking on your gift as well. 4. Buy a gym membership! The holidays offer a unique time of year to get great deals on gym memberships. Many gyms will offer prorated and discounted prices as incentives to get clients to lock in annual memberships. Being active and healthy during the holidays can be difficult. We recommend you stay out and about being physically active to ward off those excess lbs; be mindful, however, that you don’t want to be out of the house for too long! The holidays are a very active time for criminal activity and home burglaries. Make sure to lock your doors when you leave and survey who walks around your neighborhood. If you do find yourself in a burglary situation please consult one of our attorneys for options. We can assist and guide you through the necessary actions that should be taken to prevent you from losing out. To schedule a consultation with Attorney Michael Blickensderfer CALL US At 1-888-973-2776! The holidays can be a very relaxing time for most people. Cool weather in the air, family time by the fire, presents under the trees and lots and lots of shopping! Yes sir, the holidays was meant for everyone to wrap up the year on a good note and get ready for a fresh new start to the upcoming year. Unfortunately, however, the holidays are one of the most active times in the year for criminal activity. Home burglary, cyber theft and a host of other maliciously intended actions tend to occur on some of the brightest days of the year. Makes sense, right? Shadows occur most often on the brightest days of the year. Of course, there are things you can do to prevent such mishaps from occurring. Locking your doors for example and being a little skeptical about those holiday carolers may save you from having to file a police report. Remember, lots of criminals will canvass neighborhoods and do their research before attempting a burglary. Caroling is a great way to canvass the neighborhood and at the same time get a better understanding of what might be found inside your home. Remember, just a sneak peak could reveal a lot to a potential burglar. When shopping, make sure your credit cards are accounted for; you could even take it a step further and put them in a compartment that prevents the magnetic strip from being scanned. Remember, the best way to prevent credit fraud is running current credit reports and checking your bank statements for unknown purchases. Being proactive and catching fraud before it begins could save you thousands of dollars and lots of time wasted later. Blick Law Firm wishes each and every family a very merry holiday. We know how precious this time of the year is, for everyone and are cognizant of the needs of people who may not be so fortunate. If you happen to find yourself in a situation dealing with fraud or other criminal activity, give yourself a holiday present and seek counsel at our office. One of our attorneys can guide you and assist you with your best course of action. Unfortunately, personal injury claims happen every day. People, for no reason, without their conscious knowledge get into accidents and get hurt. The resultant is thousands of dollars in medical bills and an uphill struggle to recovery. Often time, people who get hurt are adults. But what would be the recourse if the person that was hurt happened to be a minor? A minor is defined as anyone under the age of 18. 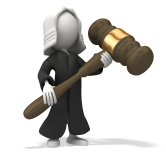 Minors can file a personal injury suit. The guidelines, of course- for minors, are different from those of adults. When a minor wishes to make a personal injury claim they must usually be guided by a guardian. The guardian represents the minor and tries to have their best interest in mind. The attorney must work with the guardian closely in order to resolve the claim. Minors are not able to settle cases on their own outside of court. Furthermore, certain cases require court approval before the disbursement of funds resulting from a settlement. The need for approval is dependent on the amount that is realized from the settlement. Please seek counsel from an attorney for accurate figures. Blick Law Firm has handled numerous personal injury cases. We’ve represented all sorts of individuals from adults to minors. We encourage people to come to our offices and seek counsel, from one of our attorneys, if they need any sort of personal injury or other legal related advice. Are you a minor or know a minor who might have a personal injury case? Feel free to contact us at our website, listed below and schedule your 1 on 1 consultation with our attorneys. On August 9th, 2014, 18-year-old Michael Brown was fatally shot by Ferguson police officer, Darren Wilson. The incident created ripples throughout America quickly escalating into a tidal wave of outrage. It reignited a feud that had long since been buried in undertones and minuteness since the days of the civil rights movement. Unruly protestors rioted in the streets of Ferguson seeking vendetta and justice for their martyred brother. Police responded by militarizing themselves, in an effort to keep the peace, reminiscent of the cold war days when countries would keep the peace by showing off their biggest guns. The rapid and intense escalation was fortunately kept in check by the state and federal government along with the help of protestors seeking a non-violent, just and fair resolution to the incident. Fast forward to last week—Police officer Darren Wilson was acquitted of crimes related to the shooting of Michael Brown. The verdict has innumerable implications. People seeking punishment empathized for Michael Brown and his family. Others praised the verdict, pleased to see that a man who dedicated his life to servitude would not suffer the consequences of his actions. Rioters rioted and peacemakers made their peace. The one thing, everyone seemed to agree upon is that change needs to happen. How do we create this change? There is obviously an intense disparity between those who feel that police officers are doing their civil duties responsibly vs. others who think of police as being brutal, savage oppressors. The Obama administration has offered a solution to expedite change in law enforcement. They want officers to wear body cameras and go through more intense training. The idea of more cameras is not uncommon in police enforcement. Dash cams were added to police vehicles as a means of protecting both the officer and individuals. Cameras offer more insight into each incident. The amount of contradictory and ambiguous accounts of the Michael Brown incident may have been clearer if police officer, Daren Wilson, had been wearing a body camera. Some police agencies already have such cameras in place. According to WIRED, complaints against police officers dropped 60% after the implementation of body cams to the police force in Rialto, California. Are body cameras ethical though? It is undeniable that cameras will give more feedback, but is it worth the costs to enforce upon the police enforcement?